Years ago, I bought a Porsche 944. I wanted a Porsche 911, but there was no way that I could afford one, so I settled for the 944. Within four months, it seemed that all I saw were 911’s until I went back to the dealer and asked how I could upgrade. Not counting the fact that the payment was way higher on the 911, it cost me a small fortune to get out of the cheaper Porsche. But, my heart was set on the 911 and the heck with the cost; I went with my heart. I was reminded of my car buying experience the other day when I overheard one of our family service counselors talking with a husband about the monument he had erected for his wife who passed away a few months earlier. It seems they were married for a long time, and they did everything for each other. It came across as a true love story, and in passing, the gentleman mentioned how much he regretted buying a small monument for his wife. It bothered him every time he came out to the cemetery to visit her grave. The family service counselor responded to this moment of emotional outreach with the suggestion of upgrading to a monument that the husband felt would be more fitting of the life he and his wife shared. To meet the needs of the husband, a monument of greater stature and significance was arranged for, and the family service counselor could see the tension being released from this man’s face as he finalized the purchase. In matters of the heart, money is secondary to getting what you truly want. The fact is that you should have your final wishes designed and paid for in advance to avoid anyone from spending on something that you don’t want. When looking at the laws written for this business, you will see the word disposition used quite heavily. Very clinical sounding, right? Who has the legal right of disposition is a question that must be answered when you go to your cemetery of choice to sign an interment/entombment/inurnment order. Regardless of the name given to the document, the form is to be signed by the person who is determined to have the legal right to dispose of a human body, and what form that disposition will take. Sadly, in many cases where there is disharmony in a family, the one with the love in their heart for the deceased is not always the one who has the right to make decisions on final arrangements of the decedent. Quite often, the person with the legal right of disposition acts out of spite, or dislike, or down right hatred. The courts do not make their judgments based on relationships but rather on who fits their mold of how things should go. Ah ha! Doesn’t sound so nice when you come to realize that disposition is a word that, as far as a cemetery or funeral home is concerned, means ‘how will you dispose of the body…the mortal remains… of that person you are being asked to sign for’. In fact, the state has written laws on the right of disposition that defines the order of priority when it comes to disposing of the human body. You can pick up a copy of this Order of Priority at any funeral home, cemetery or from Calumet Park Cemetery by calling 219-769-8803. In fact, just a few short years ago the State of Indiana passed into law a bill that allows the individual to decide who will dispose of their body. It is called a Funeral Planning Declaration and you can pick one up at Calumet Park Cemetery, 2305 West 73rd Avenue, Merrillville, Indiana 46410. There is a lot of legal gobbledygook that must be trudged through when a person dies. That is what your funeral director or cemeterian handles as part of their service to you and your family. Taking care of the legal side of things when a person passes is only a portion of the challenge that is faced within hours of a death by the person found to have the legal right to make such decisions. Making decisions as to burial or cremation…cemetery and funeral home…traditional ground burial or above ground entombment…private or public visitation…and on and on and on…is challenging to say the least. Every decision comes with a side of doubt when you, as the body in question, did nothing to help make life easier for those left behind. When you die, your problems are over. However, for those left behind, the 72 hours following your death will be made more painful and confusing when they do not know what you would have wanted, or how much you would want to spend, or how little there is in the bank account to spend on your funeral. As I write these words, a family service counselor is distraught over having to deal with a person with no money, and no right to do anything even if money were not an issue let alone being able to have a proper goodbye for her loved one. So sad! The best advice I could give to anyone after being in this line of work for so many years is to think about your own inevitable passing. What would you want to happen to your body? What kind of funeral service do you want? How much money do you want to spend or how much money is available to be spent? Money and dignity have little to do with one another. You can have a surprisingly beautiful final goodbye without breaking the bank or taking food off the table. But to do this, you are the one who needs to make the decisions. Since none of us know the time or day of our eventual demise, when would be a better time to pay a visit to Calumet Park but now, while you are still able to? As the title of this article states, sometimes it costs you more to get what you don’t want. If you don’t want a public extravaganza, don’t let it happen by arranging your own funeral. If you don’t want a very expensive mahogany casket, come in and arrange for the casket that you do want. If you don’t want cremation (or if you do), take a couple of hours and sit with one of our family service counselors and seek their advice. It is always better for you to have things prearranged and then forget about it until the time of need rather than have a need and force others to try and figure out what you would have wanted, and how they will pay for it. Last year, the average cost of one complete funeral and cemetery arrangement was around $12,000 to $15,000. The spread in price has to do mostly with the casket selection. If you always secretly wanted to be in a mausoleum, come in and find out how affordable it is rather than be buried in the ground and later be disinterred and put in a mausoleum when your secret somehow surfaces after you are gone. Let your family know what you want. You can prearrange exactly how you want things to go, and how much you will spend, and you can do it with interest free payments at Calumet Park Cemetery on a pre-need basis. Wait until after a death, and no payment programs are available and choices may be limited. 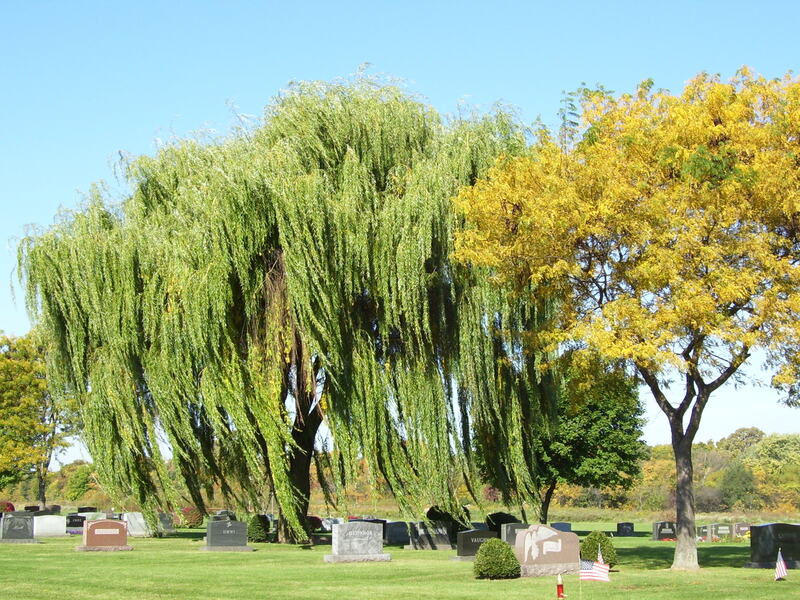 Look at it this way, if you know you are going to use Calumet Park Cemetery when the time comes, do you think it would be wiser to arrange now, at today’s prices, or to leave it to your family? Sure, you will still end up here at Northwest Indiana’s most beautiful Memorial Park, but at whose expense? Call us now for a no obligation look-see at what your funeral will be like, and if you want to do everything at once, or piece your final arrangements together in smaller, more affordable segments, you will be the one in charge.